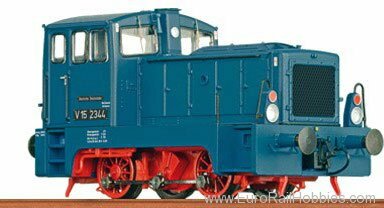 The successor of the Kof II, the shunting locomotive V 15 was made at DR from an industrial locomotive from LKM Babelsberg. On the basis of a sample locomotive dating from 1958, a zero-series of 20 machines was produced which was followed by the 249 type locomotives of the V 15.20 series. The locomotives of the V15 series were distributed throughout the DR's region. This allowed the shunting service at many smaller stations to be rationalised. Even today, locomotives of this series are still used by industrial companies.